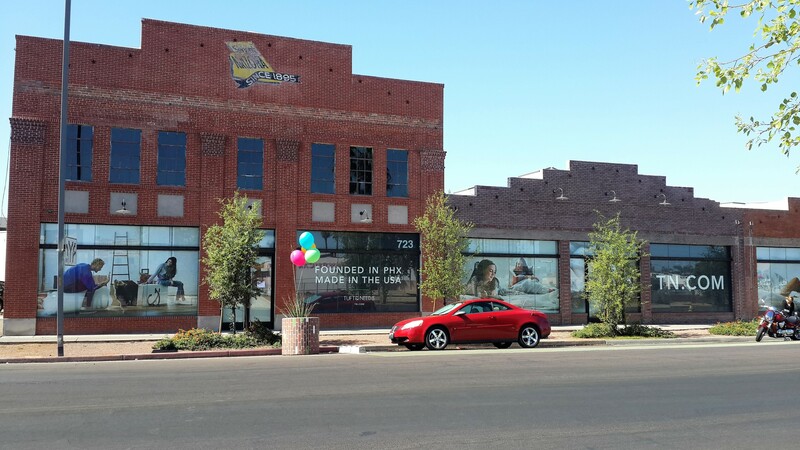 Your office’s windows can be used for more than just looking out at the scenic desert, as they also provide invaluable creative and advertising space. 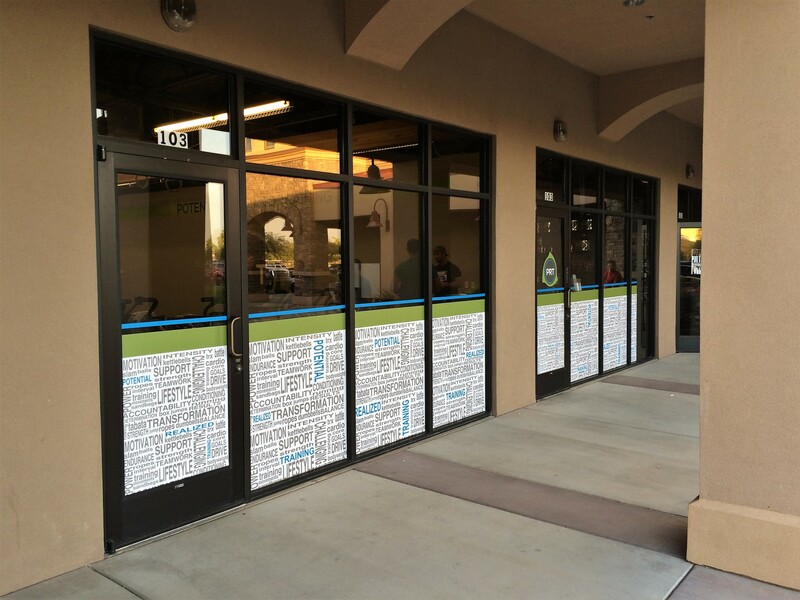 With the right set of business window graphics, your branding efforts can take a huge step forward. 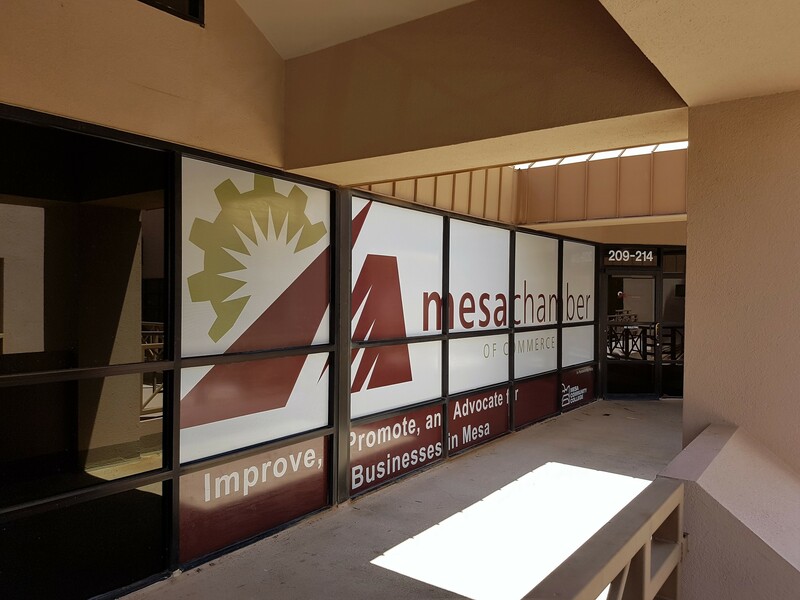 SpeedPro Imaging Mesa/Gilbert can help in that endeavor with the use of our combined experience and have been helping local businesses throughout Gilbert, Mesa, Queen Creek, San Tan Valley and Apache Junction since 2012. 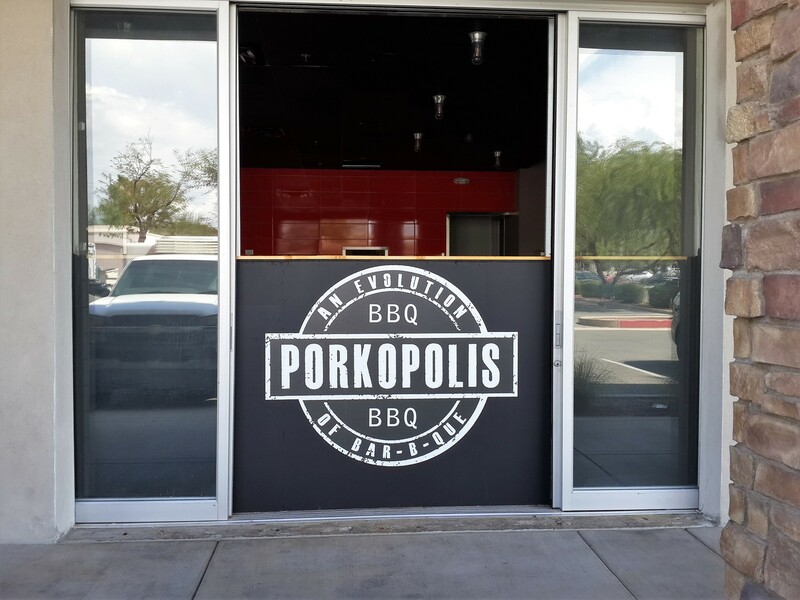 Whether it’s to command attention on the street, reinforce your corporate philosophy to your employees or simply create some more privacy, our custom window graphics will be tailored to fit your exact needs. 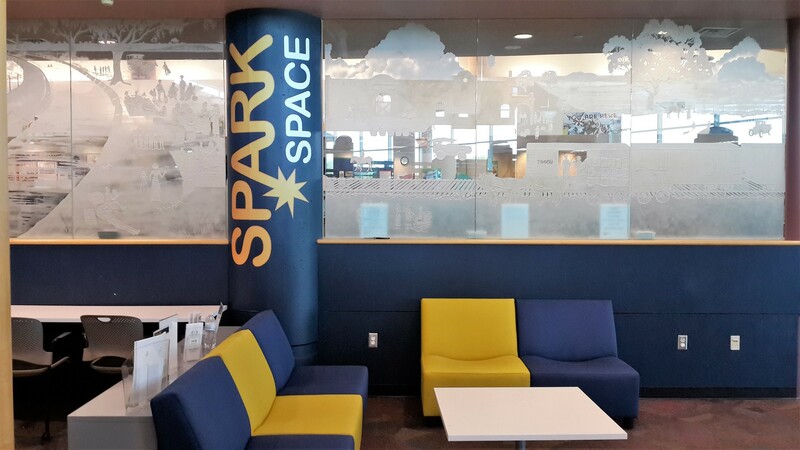 We aim to be a trusted extension of your marketing team, so we’ll collaborate with you closely to learn how we can best put our visual communication expertise to work for you! 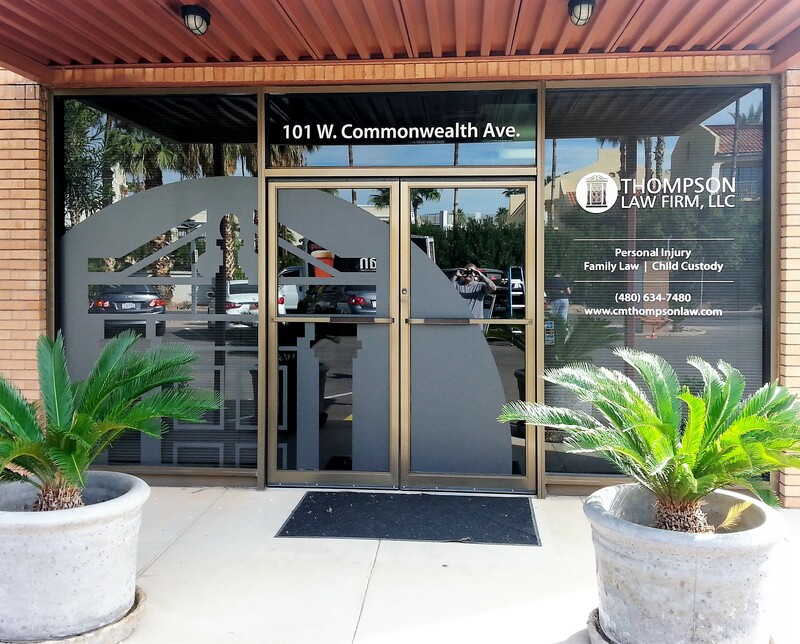 Every detail will be noted, and we’ll answer any questions you might have along the way. 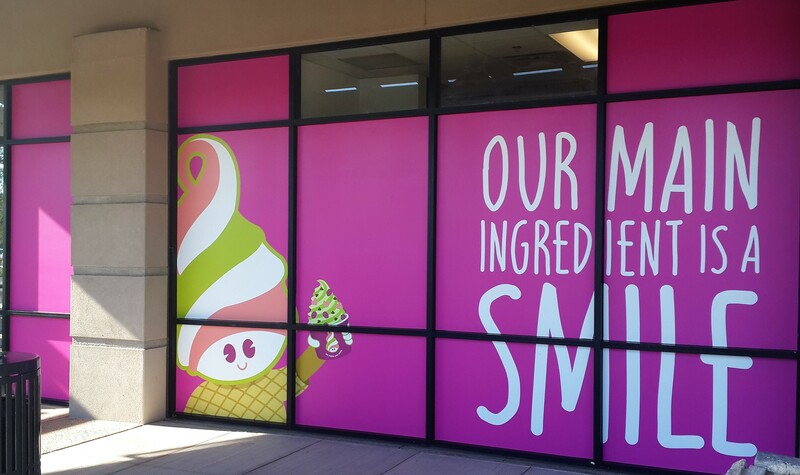 Frosted or image window graphics: These graphics are the basis for most business window displays. 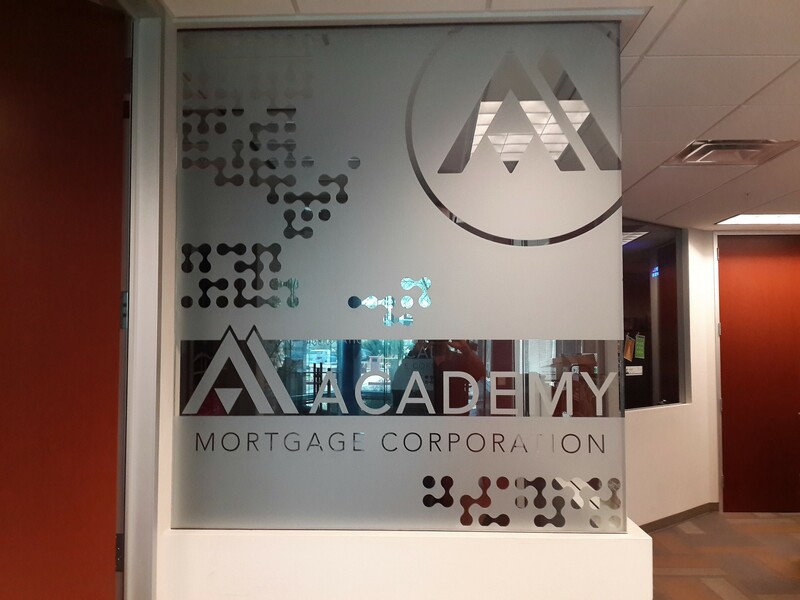 You can use them to display your logo or other high-resolution images or frost the glass walls and doors of your office space to create some tasteful privacy. 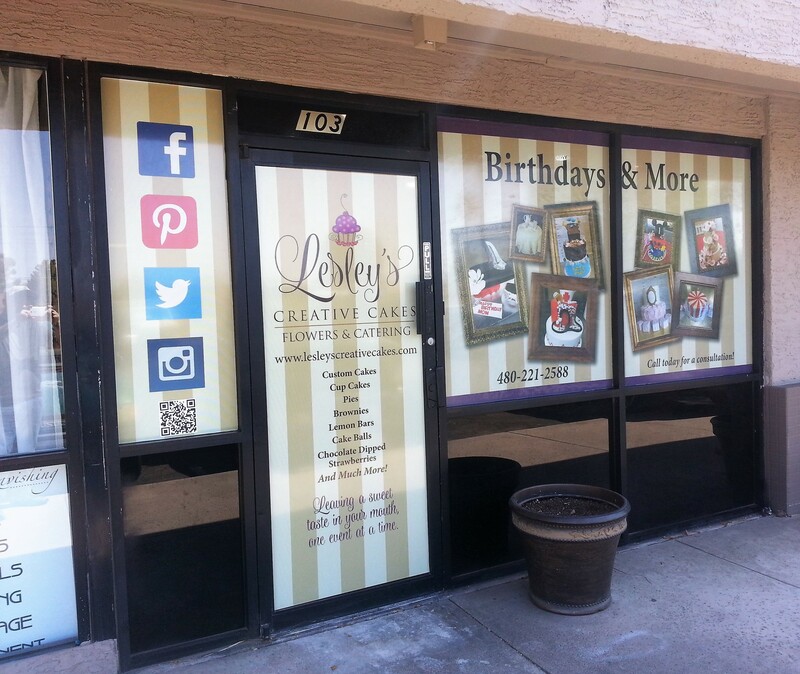 We offer two types of vinyl: calendar and cast. 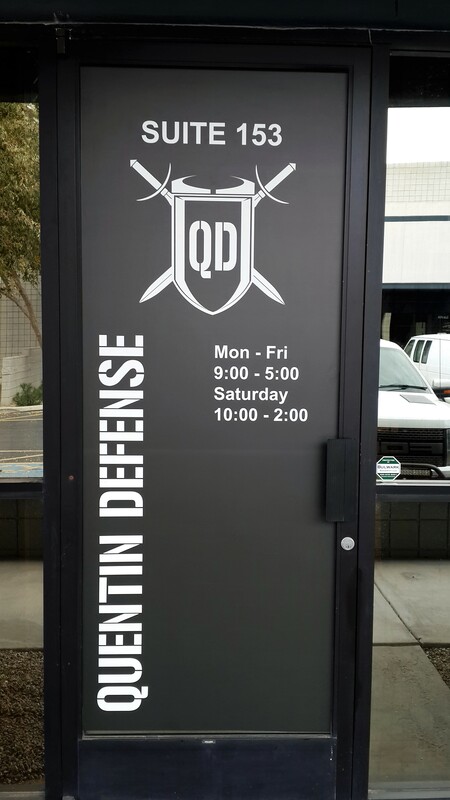 Depending on what you choose, you can finish your graphics in gloss, matte, etched, frosted, dusted or clear. We also offer straight and contour cuts. 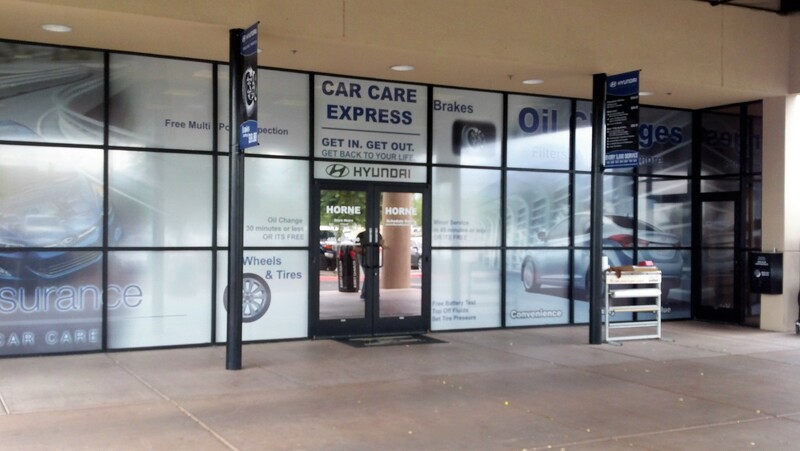 Window perforated film: Our perforated films can be used on storefront windows, doors and car windshields. 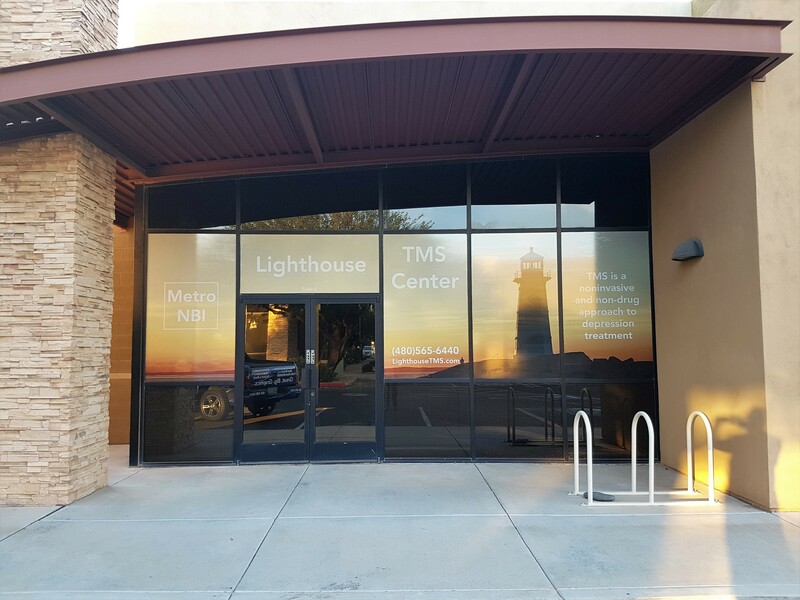 The films display your desired images with breathtaking clarity on the outside while simultaneously reducing harsh sunlight and increasing privacy on the inside. 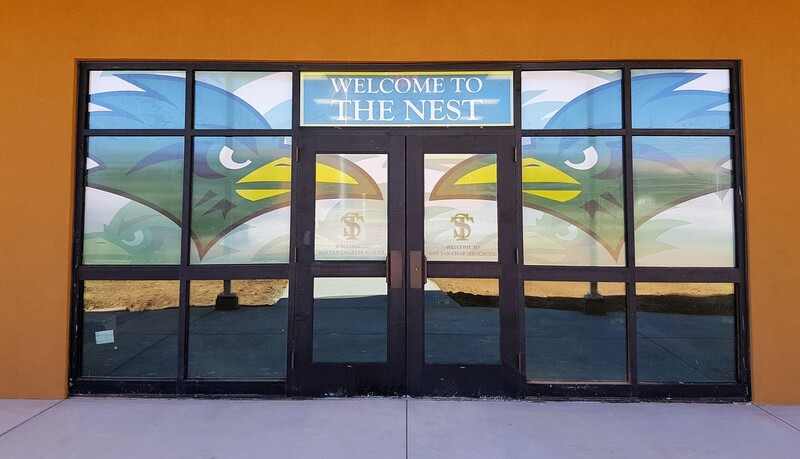 The level of transparency can be adjusted based on the vinyl-to-hole ratio you select, which come in 50/50, 60/40, 65/35 and 70/30. 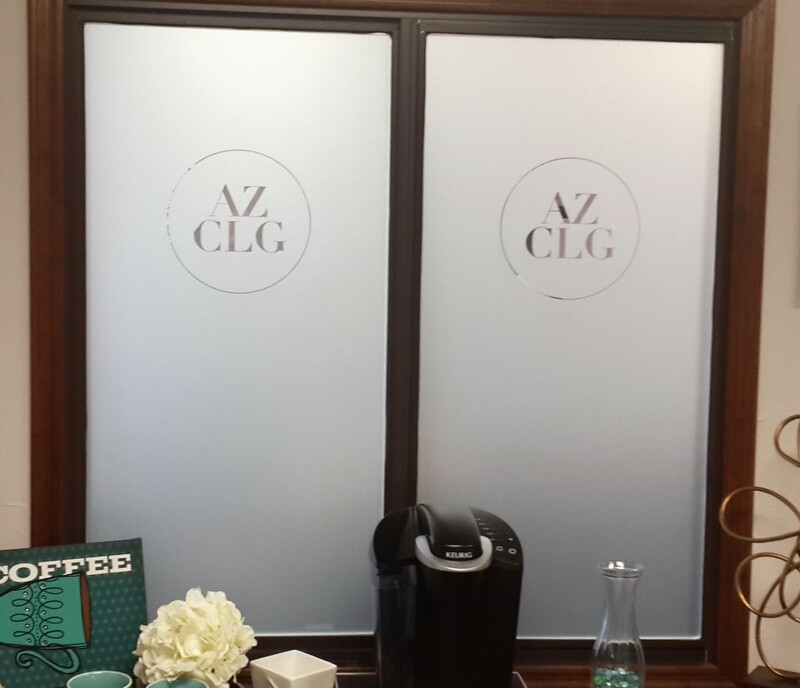 Window clings: Clings are useful for promoting events and sales thanks to their cost-effectiveness and temporary nature. 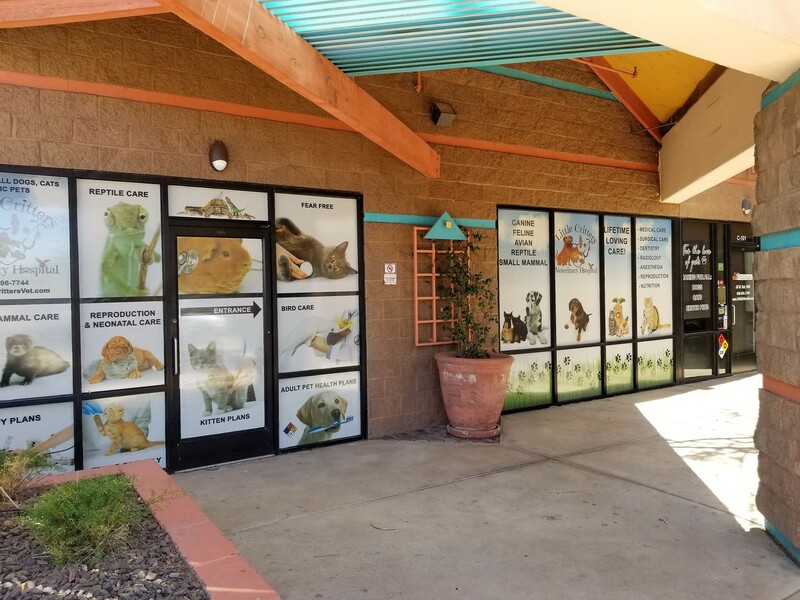 You can apply them to windows and other surfaces through static cling or adhesive, and they can be placed on the exterior (first surface) or interior (second surface). They can be single- or double-sided. 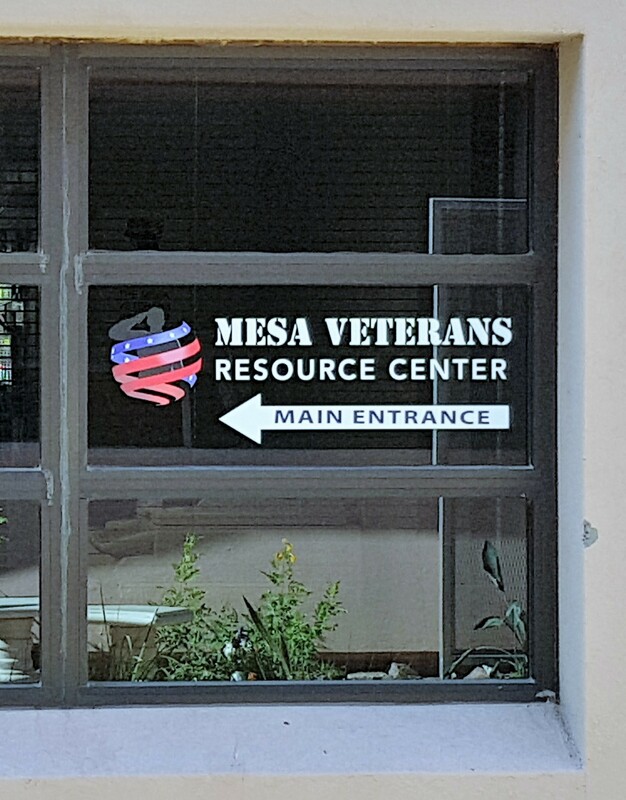 With our color-matching practices, all of your new graphics will fit seamlessly with the rest of your branding elements. 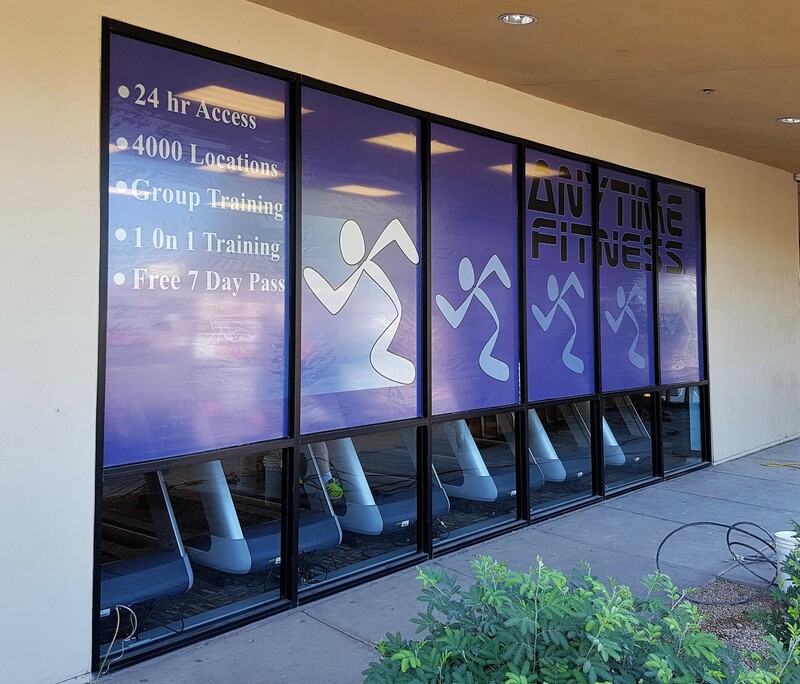 Contact us today to schedule your consultation, and you’ll be taking the first steps toward creating your custom window graphics. 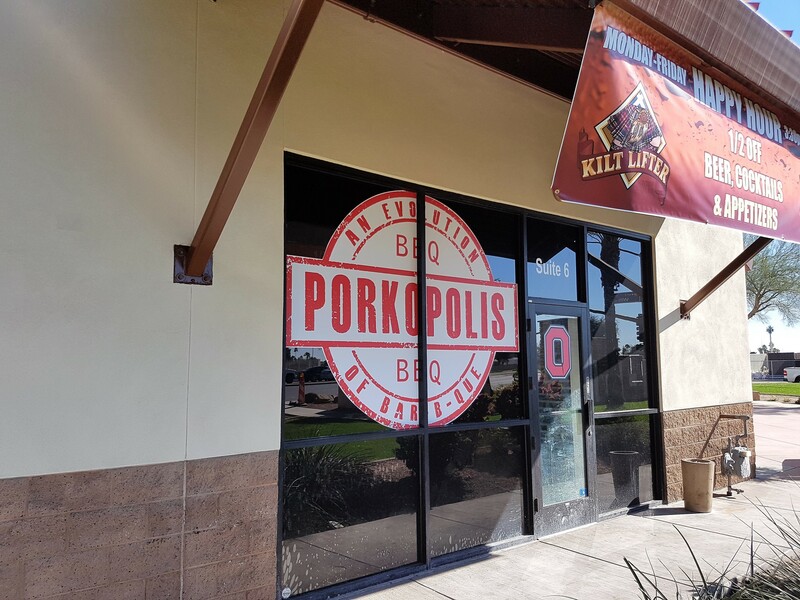 You’re also more than welcome to visit us at our studio, which is located in Gilbert, on North McQueen Road, just North of West Guadalupe Road.